Bristol-Myers Squibb will partner with Boston Medical Center to identify and analyze potential sensitivity and resistance markers in patients treated with standard-of-care checkpoint inhibitors, through a research collaboration whose value was not disclosed. Under the multi-year collaboration, BMS and Boston Medical aim to uncover mechanisms associated with lack of response to immuno-oncology (I-O) therapies, with the goal of identifying prognostic and potentially predictive immuno-oncology biomarkers in a variety of cancers. BMS and Boston Medical said their researchers will collaborate to explore the role of tissue and circulating biomarkers on treatment sensitivity and resistance. Scientists will also investigate the role of the microbiome as a potential predictive biomarker in patients receiving treatment with immune checkpoint inhibitors. The partners said they will jointly conduct research throughout the duration of the study, after which Bristol-Myers Squibb and Boston Medical Center said they may collaborate to publish results. “We look forward to partnering with Bristol-Myers Squibb on this study to identify and assess biomarkers across a diverse patient population, providing us with a deeper and more comprehensive understanding of I-O resistance,” Matthew Kulke, M.D., chief of hematology/oncology at Boston Medical, said in a statement. Dr. Kulke added that Boston Medical serves a diverse patient population, with 70% of its patients coming from underserved communities. “The information we glean from this collaboration will ultimately inform the development of novel therapeutic strategies to improve response rates and outcomes for patients,” stated Saurabh Saha, MD, PhD, BMS’ senior vice president and global head of translational medicine. BMS is an anchor tenant along with Facebook at 100 Binney Street, an office/lab building of 432,931 rentable square feet completed earlier this year by Alexandria Real Estate Equities. OnNovember 26, BMS opened its Cambridge R&D site, which consists of 208,000 square feet leased across floors one to five. 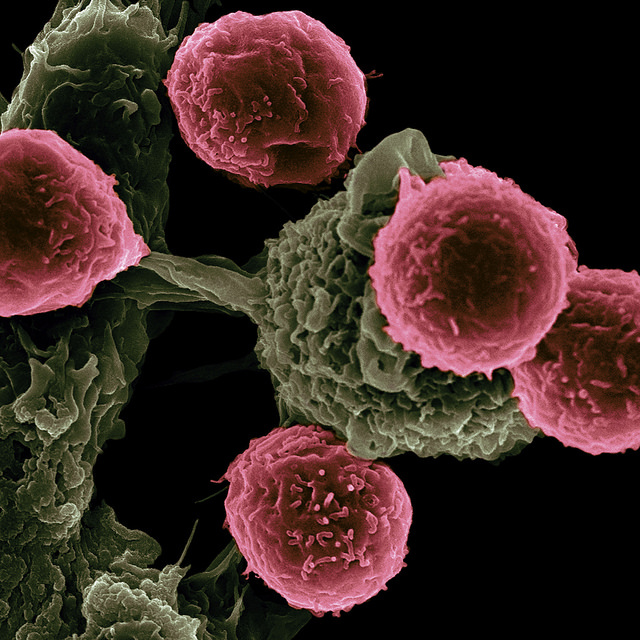 The research collaboration is the second immuno-oncology alliance announced by BMS yesterday. BMS said separately it will partner with Eisai and its U.S.-based precision medicine R&D subsidiary H3 Biomedicine to evaluate whether novel therapeutics leveraging H3’s RNA splicing platform can provide a more powerful response against cancer. Under that collaboration, whose value was also undisclosed, BMS, Eisai, and H3 agreed to explore modulating RNA splicing to develop potential first-in-class therapies designed to direct the immune system to target cancer cells and help more patients experience the benefits of immunotherapy. BMS includes oncology and immunoscience among its therapeutic areas of interest, along with cardiovascular and fibrosis.